Teeth are something that many people take for granted. In truth, though, they play an integral role in many aspects of our daily lives. This is something you certainly start to appreciate if you happen to lose them. Losing teeth is never nice, but it can happen due to a number of reasons. This includes accidents, injuries and general ageing. In any situation, this can make life very difficult. Let’s face it, a toothless grin does little for your appearances either. However, dentures can restore those looks and functions. One of the main issues that many people have with the idea of getting dentures is that they think they’ll look awful. But dental technology has come a long way in recent years, and those awful contraptions are now a thing of the past. With the help of our experts and the latest technology, your new dentures will give you every reason to start smiling once more. Nowadays, dentures can be crafted in many different ways. Not only does this give you more flexibility regarding design, but it also guarantees a comfortable fit too. Overall, in creates a brand new smile that you can be proud of. Treatments can be completed very quickly too, allowing you to regain that natural looking glow in next to no time. The first step to rebuilding that winning smile is to confirm that dentures are the right way forward. 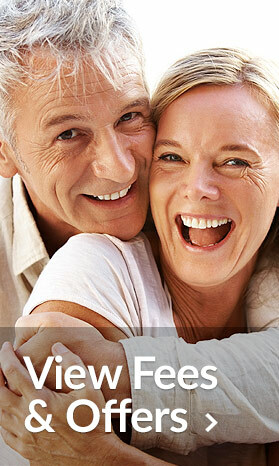 This isn’t the only option and our consultants may also discuss alternative ideas like dental implants or bridges. Assuming that dentures are the right solution, our experts make the process a lot easier than you may expect. Our professionals are committed to creating a practical and comfortable set of dentures, tailored to your needs. No two mouths are identical, which is why it’s imperative to get the sizing right. Otherwise, you’ll never be happy with the end result, regardless of how spectacular they look. As for the design aspects, we can produce pretty much anything you like. If you want gaps, stains or other items to replicate a natural look, then this can be achieved. 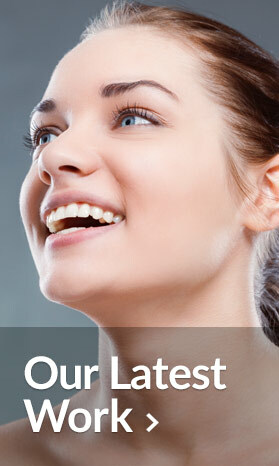 Our sole aim is to make sure that you’re happy with your new smile. With this in mind, we will help you to fit those new dentures too. Here at Blanche Smile Studio, we use only the best and most durable materials to create your dentures. After all, we know just how important having a winning smile can be to your looks and general self-esteem. With the right general care, there’s nothing to stop your new teeth lasting for several years. However, it is worth noting that the human mouth will evolve and change shape over time. This is just a natural part of ageing. But with the use of regular check-ups, your dentures can be adjusted to fit the new shape. In turn this saves you the need for buying a completely new set. Best of all, our professionals will support you throughout the process to ensure that you get the ultimate enjoyment.